Winter is generally a quiet time but birds can be found. 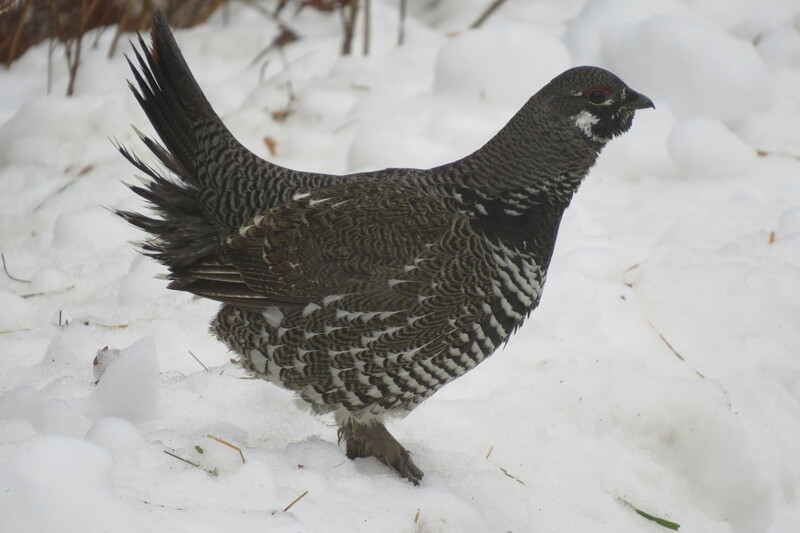 Many people in Atikokan have bird feeders and a drive through the residential areas can be rewarding for winter finches such as Pine Grosbeak and Evening Grosbeak. 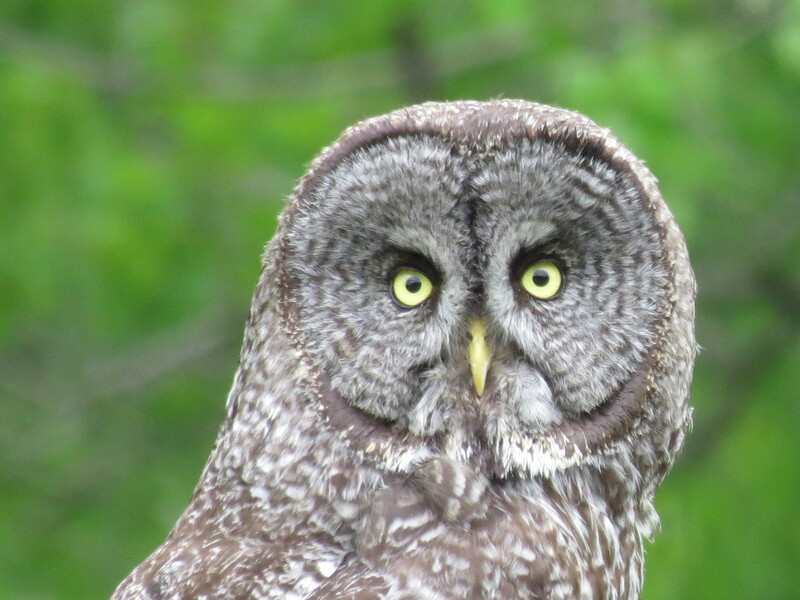 In the bush Gray Jay, Boreal Chickadee, Spruce Grouse and Great Gray Owl are possible. Starting in April as the lakes become open, the first migrating waterfowl arrive followed in May with a rush of warblers, sparrows and flycatchers. Summer is the busy breeding season and 20 species of warbler, including Connecticut Warbler in the black spruce bogs, fill the air with song. Fall migration is less hurried. The first south-bound shorebirds show up in late July. Warblers and other passerines move through in late August and early September. Early October sees the arrival of many sparrows, including Fox Sparrow and Harris’s Sparrow. By November, the first of the winter visitors begin to appear. Bald Eagles and Common Loons are very easy to find with some eagles staying all winter. Several pairs of Trumpeter Swans nest in the immediate Atikokan area in the bigger marshy beaver ponds. 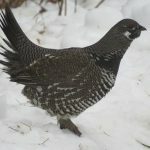 A checklist of the birds of the Rainy River District (Atikokan is at the eastern end of the district) is available at the tourist bureau at the junction of Highways 11 and 11B. In addition, a checklist of the district butterflies is also available.